The modern Pinhole Surgical Technique (PST™) is one of the most comfortable and minimally invasive treatments available today in dentistry for patients with receding gums in the Marshall, WI area. If you are concerned about receding gums, but don’t want traditional receding gums surgery, cosmetic dentistry expert Dr. Chris Stevens may be able to treat you with PST™. Call today to arrange your consultation. Gum recession is one of the leading consequences of untreated gum disease in Madison, WI, a bacterial infection that eats away at healthy oral tissue, eventually attacking teeth and bone. Brushing too hard, clenching or grinding, and parafunctional factors can also cause recession. Even some dental procedures can leave a patient with gum recession, including certain orthodontic treatment and conventional gum disease treatment, which relies on a scalpel to remove diseased tissue between the gums and teeth. Patients with gum recession who want a more impressive smile have found great satisfaction with PST™, a modern, minimally invasive procedure that Dr. Stevens provides for patients with receding gums in the Marshall, WI area. PST™ was pioneered and patented by Dr. John Chao, D.D.S as a safe and effective alternative to traditional gum grafting for patients seeking minimally invasive gum recession treatment. 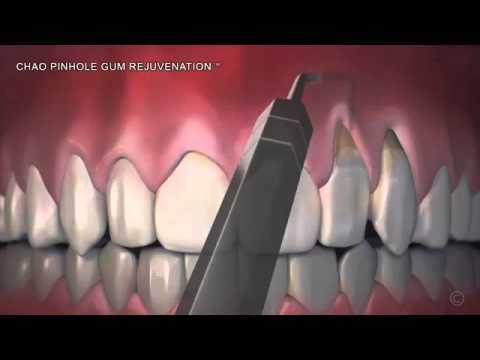 During the procedure, Dr. Stevens makes a small pinhole on the gums near the area of recession and then, using special tools, loosens the soft tissue and pulls it over the tooth roots to lengthen the gum line. Strips of collagen are then placed to hold the tissue in its new position and to encourage healing. The technique is fast, comfortable, and the results are beautiful. "I have to tell you it made a world of difference in how I feel about my appearance and my smile. The procedure itself - I had more done than most people - took several hours. But throughout the procedure it was pain-free."